Earners of the Medical Biller Workforce Training Certificate are familiar with claim requirements for a variety of insurance companies including government payers. Students are prepared to sit for the Certified Professional Biller (CPB) national certification exam offered by the American Academy of Professional Coders (AAPC). 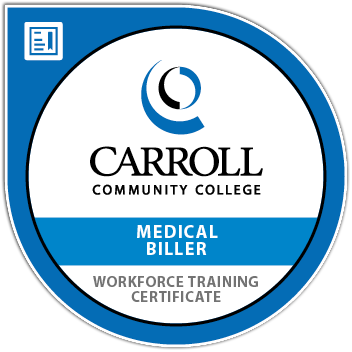 Complete the Medical Biller Workforce Training Certificate program in preparation for the CPB national certification exam. Topics include the lifecycle of a billing claim, how medical insurances work with the billing process in a physician's office, working with electronic medical records, billing claims and practice using medical billing software.